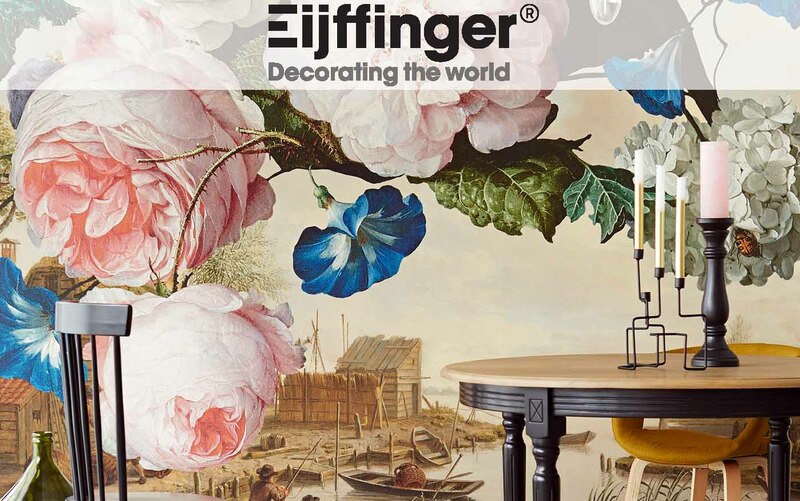 Founded in 1875, Eijffinger is a Dutch company produces a Collection of stunning wallpapers designed in their own studio. 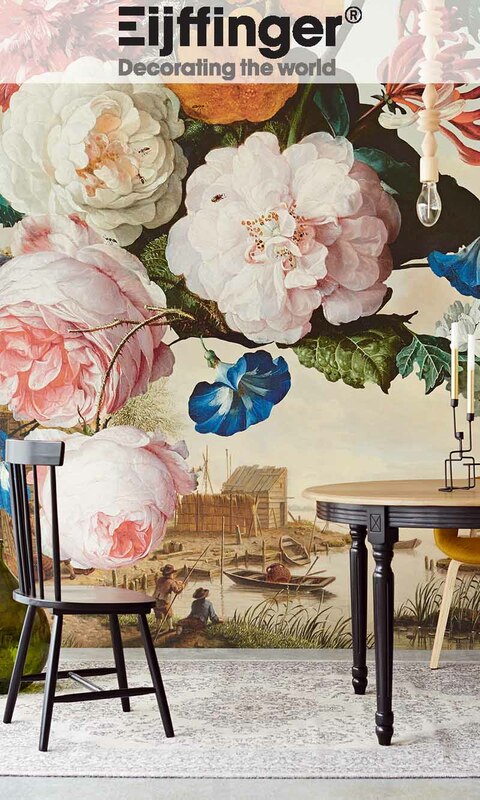 The emphasis is on high quality on trend decorative products in co-ordinated collections. With styles to suit every room/home and finishes vary from prints, pearlescent finish, metallic foils, velvets, suede, grass weaves, glitter as well as traditional vinyl. Most collections are available in many hues of the popular natural colour ways plus beautiful up to the moment feature colours.